Home Digital Transfer Money Through Whatsapp To Friends After The Integration Of Whatsapp UPI . Transfer Money Through Whatsapp To Friends After The Integration Of Whatsapp UPI . 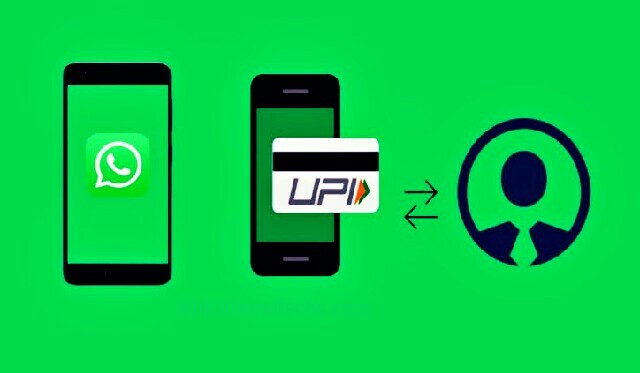 Whatsapp , the most popular messaging application which have 1 billion downloads and rated at 4.4 on play store is going to integrating money transfer services through their messaging application with the upi . Whatsapp would integrate upi on their messaging application . So after the launch of upi integrated whatsapp the users would be able chatting with friends and also can transfer money to their friends . The most similar applications like wechat , hike etc. already provided payment option . These applications provides wallet lIke payment features and uses technology mobikwik , paytm etc . wallet application . And users can pay money through scanning QR code or through users mobile no. WhatsApp has instead chosen to adopt a homegrown product, and a UPI-driven platform will allow it to make payments through other personally-identifiable markers: Aadhaar numbers, account number/IFSC code and so on. It is yet unclear how the payment interface will be integrated into WhatsApp. UPI launched by the National Payments Corporation of India (NPCI) and regulated by the Reserve Bank of India RBI), UPI facilitates the instant fund transfer between two bank accounts on the mobile platform.WhatsApp has two options before it: in the manner of a PayTM, WhatsApp could fashion itself a digital wallet and link it to UPI addresses. But given this would necessitate an RBI license and would be a rather minimal use of the UPI interface, WhatsApp is likely to adopt UPI-driven payments in the same way as the BHIM (Bharat Interface for Money) app, and potentially process transactions from all manners of IDs: phone numbers, Facebook contacts, bank accounts or even Aadhaar numbers. Also Read :- What Is Unified Payment Interface (UPI) ? How It Work ? The official “WhatsApp Payments” section for Android is still under development. As the Whatsapp will provide payment option with the help of upi through which users would be able to pay or transfer money to their friends directly from bank so whatsapp payment service would be most effective payment service in the comparison of wechat , hIke etc. messaging application those provides payment option through application and as a result of this whatsapp will become more popular messaging application . And will get more satisfaction with using whatsapp messaging application because the users will not use whatsapp only for sending text messages , videos , images , calling or video calling but also for sending money.